With the new addition of Rupert in our lives and the absence of my wage, our family has stepped into a new chapter of our lives. Our family has changed [for the better], our budget has changed... our lifestyle is now different to that of our previous. So, lets start with whats for dinner. How can I shop cost effectively for groceries? Which meals are most cost effective? And how can I keep it healthy, delicious and exciting? When we both worked full time I found it difficult (or inconvenient, lack of desire rather) to make the time to do proper grocery shops and to cook regular healthy meals. I usually cooked the same few meals on a regular basis. Spag bol, apricot chicken, schnitzel ect. Whatever was quick an easy! And then on other nights we might resort to supporting our local fish and chip shop, or maccas. I've started with a budget of $200 a month excluding perishables such as milk and fruit and vege. It's been 14 days since I did the monthly shop and we're not doing too badly. I've probably spent about $20 over the past 2 weeks on additional groceries. At the end of the 4 weeks I will evaluate how well the $200 was spent and whether I had to make many additional small shops within the month. And remembering to create a shopping list along the way so, that when I get to the next monthly shop I won't leave anything out (to prevent additional small shops). I brainstorm and source all the meals I want to cook within the month before doing the shopping, so that I can be prepared with all ingredients. Now for the meals. What have I been cooking? 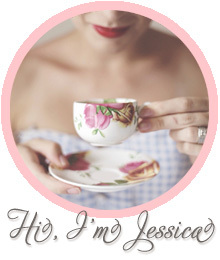 I've decided to expand my repertoire/menu and try new recipes or new variations of recipes I already use. This months cooking recipes I have sourced from the taste.com website. Let me give you bit of a commentary of a few recipes I've tried at late. 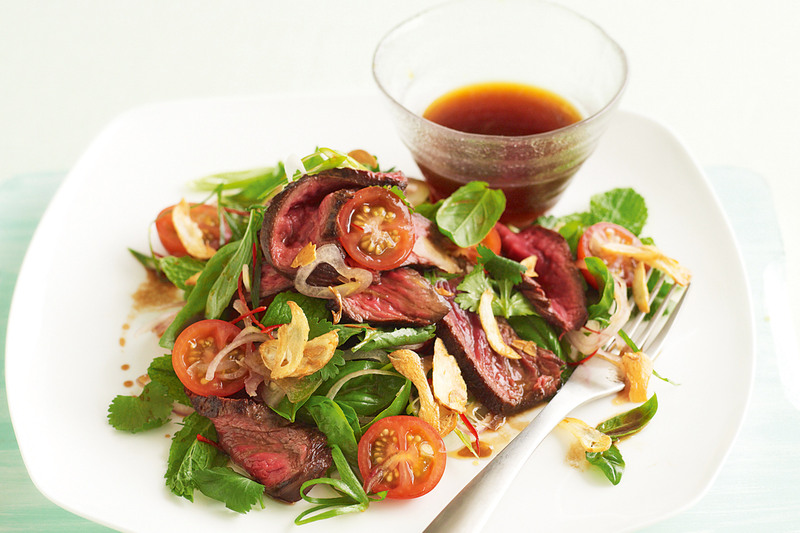 Thai kangaroo salad with crisp-fried garlic - Kangaroo is my favourite selection of meat as its cheap (comparatively) and very healthy for you. It's 98% fat free, high in iron, high in protein, low saturated fat, gluten free and most of all its delicious! This dish was quick and easy however its supposed to serve 4... not so. Matty and I only got one meal for 2 and we were still hungry so, next time it would be best served with garlic, herb or focaccia bread. Otherwise it was very nice and had a refreshing taste. Click on the link to view the recipe. Spanish tuna pasta bake - This was a great recipe. We managed to stretch it out to 4 meals for 2! But that doesn't allow for seconds or massive portions. I've decided this is cost effective, yummy and easy to make. Sweet and sour pork - now for something asian. This dish tasted good but felt like a bit of work. I didn't enjoy the process of deep frying, it was messy. And it's also not the healthiest of dishes. You can get about 3 meals for 2 out of this recipe. So there you go... thats what was for dinner.